Heliographies of Memory, Calligraphic Street Art Light Paintings #ArtTuesday « Adafruit Industries – Makers, hackers, artists, designers and engineers! In words of Said Dokins: ‘Heliographies of Memory is a long-term project that explores diverse social and historical relations that define specific places and, at the same time, resignify the sites within contemporary imaginaries, such as displaced memories encrypted in the flow and transit, a Non-place. Heliographies of Memory consist in a series of photographs that capture the calligraphic gesture, the very moment where the action of inscription is taking place. But this is not usual calligraphy writing. The texts are written with light, so the words disappear as soon as they were suggested by the moves of the calligrapher, invisible to the simple eye, they just can be captured by a process of long-exposure photography, that reveal what happened, even though no one could see it. 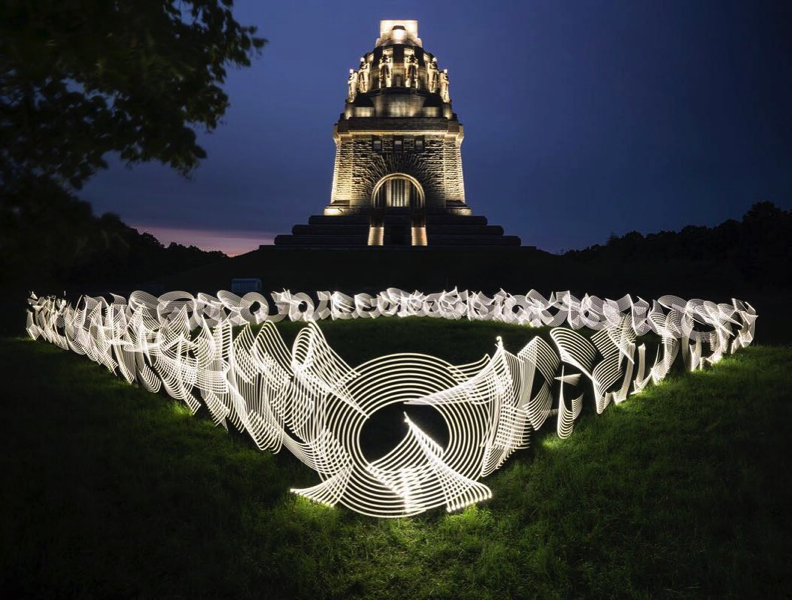 Through these ephemeral interventions with light calligraphy, we capture the invisible, acting on air, using as locations iconic places: historic sites, public plazas, monuments, bulwarks, abandoned places become re-signification spaces.